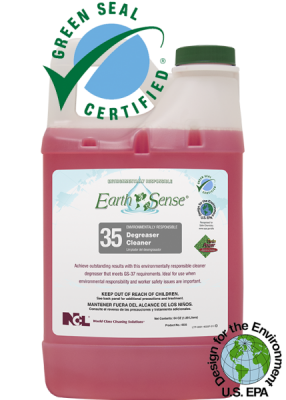 NCL DUAL BLEND #5 Earth Sense Degreaser & Cleaner, 80oz - (4/cs) - FOUR U PACKAGING, INC.
An outstanding cleaner degreaser not formulated with phosphates, nonylphenol ethoxylate surfactants, added fragrance, silicates, chelating agents or caustics. 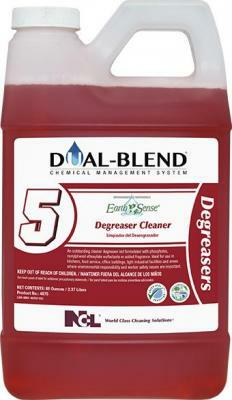 Readily biodegradable with no VOC’s. Synergistic surfactant system provides enhanced cleaning and degreasing performance without the use of petroleum based solvents. 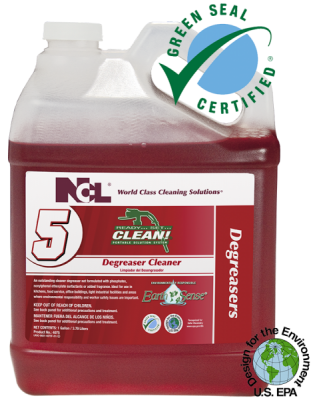 Ideal for general purpose cleaning and degreasing in kitchens, food service, office buildings, light industrial facilities and other areas where environmental responsibility and worker safety issues are important.